We Show What We Have Learned evinces keen insight into the inner workings of human hearts and minds. 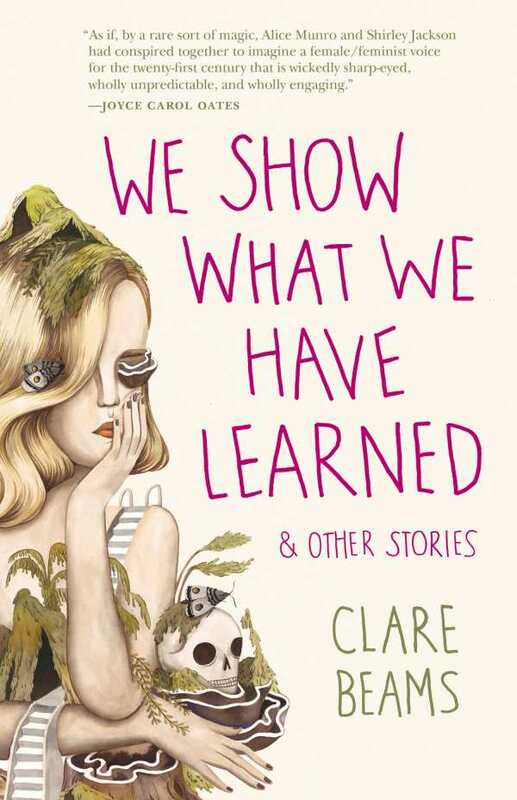 Clare Beams takes her characters on a stroll through eerily fantastical landscapes in her short-story collection, We Show What We Have Learned. From a bride whose WWII parachute turned wedding dress gives her visions of her groom’s experience in battle, to an elderly woman pulled from her nursing home to once again visit the magical New England woods of her youth, Beams’s characters are drawn with emotional care and complexity. Beams’s stories have appeared in many publications, including The Best American Nonrequired Reading, but this is her first collection. With her stories presented together, it is easy to see the themes of transformation and emotional turning points in her work. Some of the transformations are physical, like the corseted boarding-school girls who strive to shape themselves into their headmaster’s vision of femininity, and others are intangible, like the disappointed longing of unrequited young love. Many take place in dreamy worlds where animalistic shadows hold the promise of renewal, or buildings mysteriously heal themselves. Within these boundaries, each story focuses a brilliant shaft of light on one person’s emotions as they reveal insecurities and secret longings, resulting in vulnerability and intimacy. We Show What We Have Learned evinces keen insight into the inner workings of human hearts and minds. The broad range of its characters and settings invite a wide audience. Through all these varied settings and protagonists, Beams’s voice remains true to its essence while feeling fully appropriate for the particular time and place. Each story’s pace is just languid enough to lend an eerie contrast to the increasing tension of the plot without bogging down the story. For fans of realistic fiction tinged with elements of the fantastic, We Show What We Have Learned is a collection that will quickly become a favorite, and leave them looking forward to what comes next.